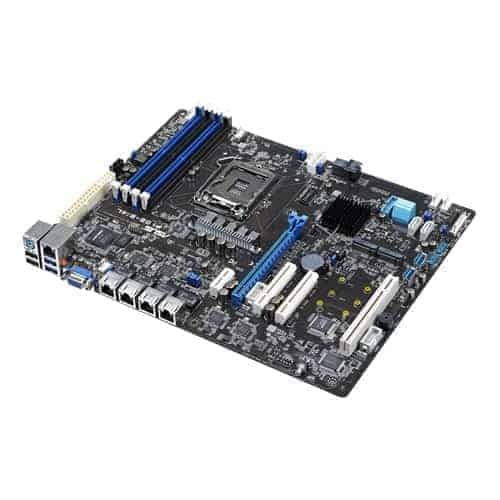 The ASUS P10S-E/4L is an Intel® Greenlow platform server board based on the Intel® C236 chipset provides quad server-class Intel® Ethernet , native 8 SATA 6G, 3 PCI Express 3.0 slots, dual M.2 sockets, one legacy PCI slot and one MIO slot which can fulfill various customers’ requirements. It suitable for Data center frond-end server, firewall, gateway server, storage server, SMB print/file/mail/exchange server etc. In order to bring up better performance or back-up solution for internal OS drive scenario, we design dual M.2 spec on selected server boards. With this design, configuring dual M.2 devices as RAID 0 to boost read performance up to 84% and write performance up to 40% compared to single M.2; moreover, if users require data redundancy of OS drive, RAID 1 will be a good choice with dual M.2 storage devices. 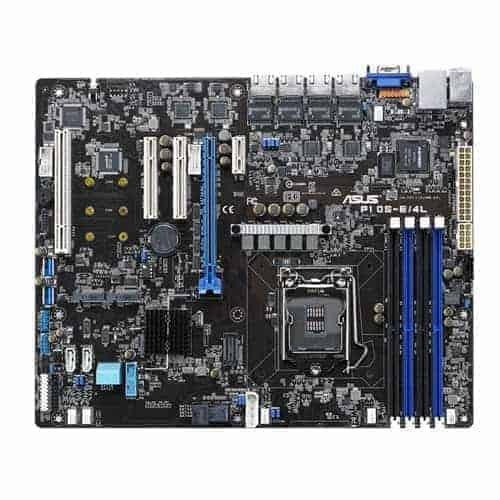 ASUS P10S-E/4L server board is designed with the platinum power solution with the hand-chosen components and provide titanium efficiency which is up to 94%. The platinum power solution consists 3 pillars to achieve the 94% platinum efficiency: 12K Ultra Longevity Solid Capacitor ,Beat Thermal Choke III and Digi+ VRM. 12K solid capacitors which is able to withstand up to 1,200,000 hours of temperatures as high as 65°C (12K hours@105°C). The 3rd generation Beat Thermal Choke with lower DCR and result in 3℃-lower choke temperatures enhance power efficiency. ASUS DIGI+ VRM is digital VR controller precisely provide the accurate voltage/current that CPU require to reduce switching loss. Therefore, using in non-stop server machine running 24 hours per day, it will reduce electronic cost for customers in this generation products. 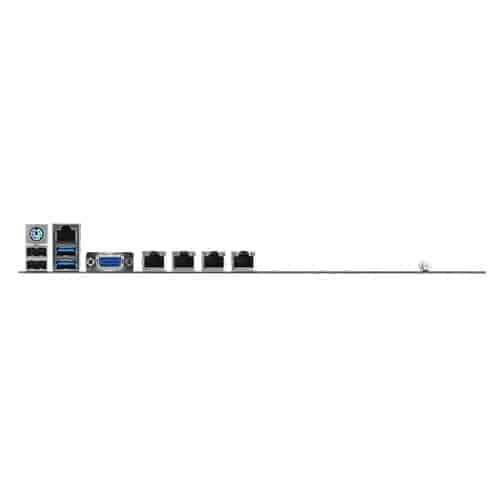 The ASUS P10S-E/4L ships with quad server-class Intel® Ethernet ports with the I210 controllers, which doubles queues compared to previous-generation Intel® controllers. This is better for virtualization applications. In addition, the quad LAN teaming quadruples the network bandwidth and the failover function ensures uninterrupted network connections.